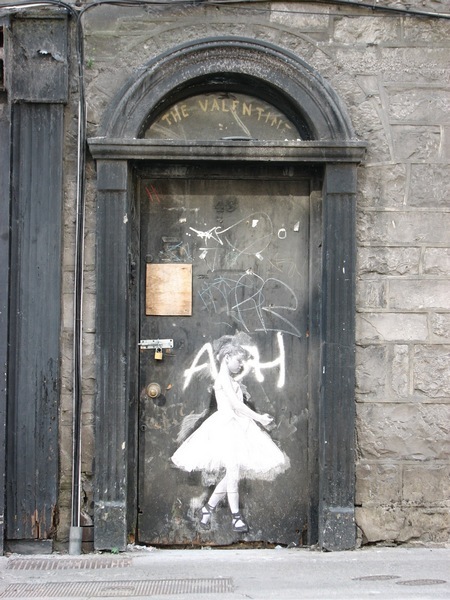 Years ago a ballerina appeared on a door on Dominick Street in Galway, Ireland. Sadly, she’s not there any more. …and woke up somewhere else. Here’s the original post. I’ve changed the text slightly. 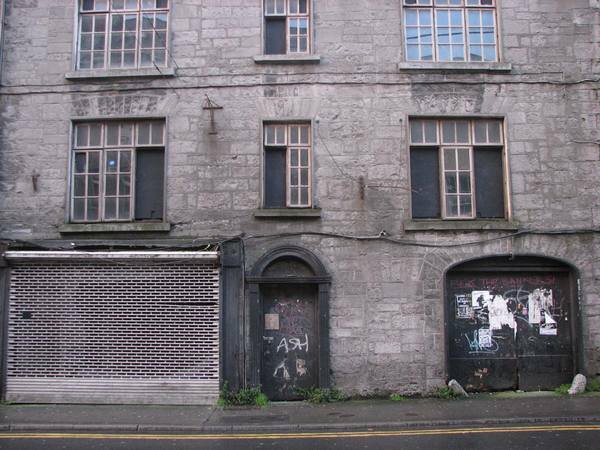 This entry was posted on Monday, July 13th, 2015 at 11:41 am and is filed under art, Ireland, photography, stories. You can follow any responses to this entry through the RSS 2.0 feed. You can leave a response, or trackback from your own site. For some reason, both the ballerina (her pose, her sense of presence, her normality) and your wording (‘she woke up somewhere else”) resonated with me. I thought of many young women (and men) with dreams and fantasies who “woke up somewhere else.” Well, that’s certainly one way to start my day and week. (smile) Take care, and thanks for your varied and interesting posts. Good evening, Vinetta. 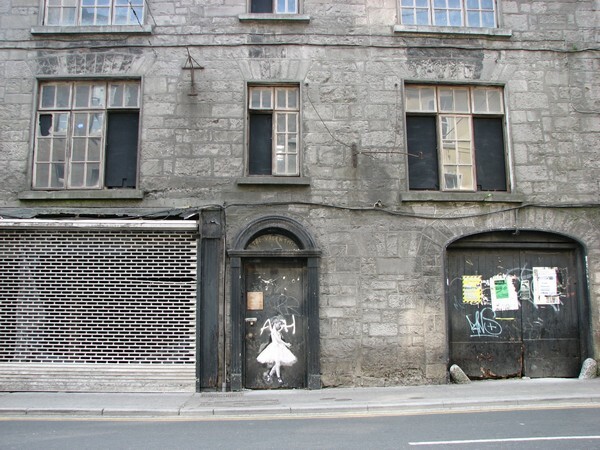 I found that the ballerina completely changed the tenor of the building and that part of the street. It’s a pity she didn’t stay around longer, but maybe she’ll wake up in Galway another day. Covent Garden. Without a doubt. I will take your word for it, WWW. Beautiful! both the visual and your words. You brought a smile to my face. Thank you for posting this. My pleasure, Lyagushka. 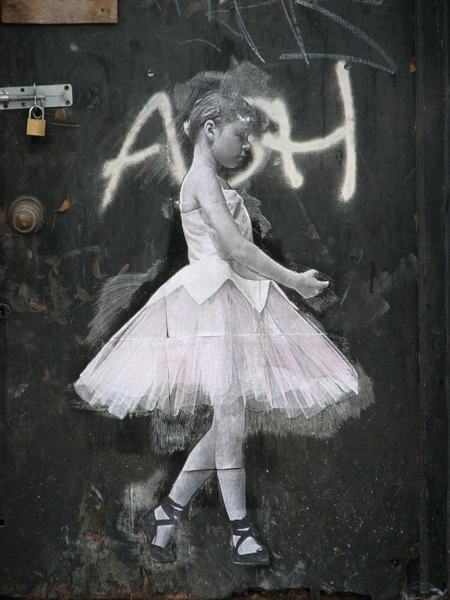 I wish I knew who to credit for the street art.